A mixed berry flavored collagen protein powder that is great for healthy hair, skin and nails, bone and joint health, and digestion. 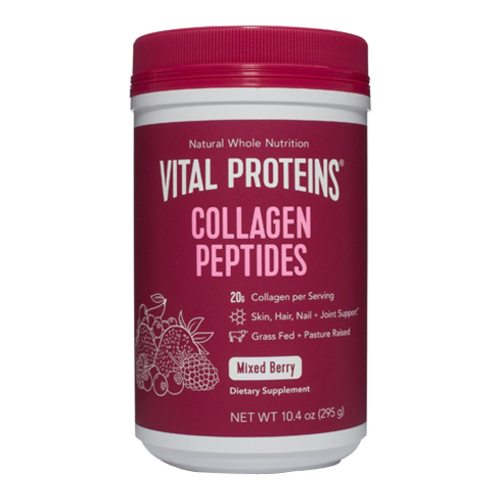 Vital Proteins' Mixed Berry Collagen Peptides are easily digested and soluble in cold or hot liquids. Adding a scoop or two of these Collagen Peptides to food or beverages gives you the vitamin boost you need to support healthy hair, skin, nails, bone and joint health, digestion, muscle recovery, and more.